Best Western Windsor Suites est idéalement situé dans le centre de Houston. Venez découvrir et profiter de notre hôtel à côté des principaux sites touristiques. Réservation au meilleur prix et offres exclusives toute l'année. Séjournez dans cet hôtel récemment rénové de Houston, Texas, offrant un accès pratique à un ensemble d'attractions et d'entreprises clés de la région. 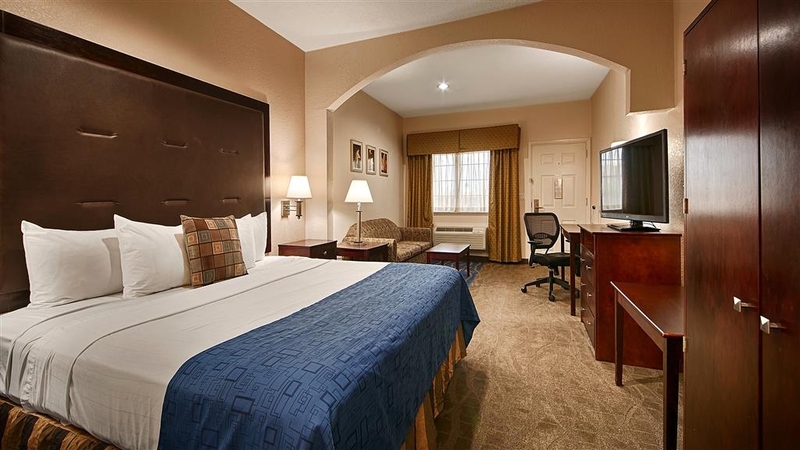 Que vous soyez en voyage d'affaires ou d'agrément, le Best Western Windsor Suites propose un service clients et un confort imbattables. Nos couloirs extérieurs pratiques vous mènent à des chambres spacieuses avec télévision câblée par satellite et accès à Internet haut débit gratuit. Commencez la journée par un petit déjeuner continental gratuit avant de plonger dans la piscine extérieure avec terrasse couverte. Profitez de nos nombreux équipements, dont un centre de fitness, une blanchisserie réservée aux clients de l'hôtel, des services d'affaires et des salles de réunion pouvant accueillir jusqu'à 30 personnes. Le Best Western Windsor Suites est située à proximité d'un ensemble de restaurants et de magasins locaux. Passez l'après-midi dans le centre-ville d'Houston, à visiter le quartier des musées d'Houston ou le Centre spatial Johnson de la NASA. Les voyageurs d'affaires apprécieront d'être à proximité de l'hôpital Cy-Fair, de Daniel Industries, Hewlett Packard et Exxon/Mobile. Les clients bénéficieront également des attractions principales de la région telles que Willobrook, Bear Creek et Tinseltown, toutes situées à moins de quinze kilomètres de l'hôtel. 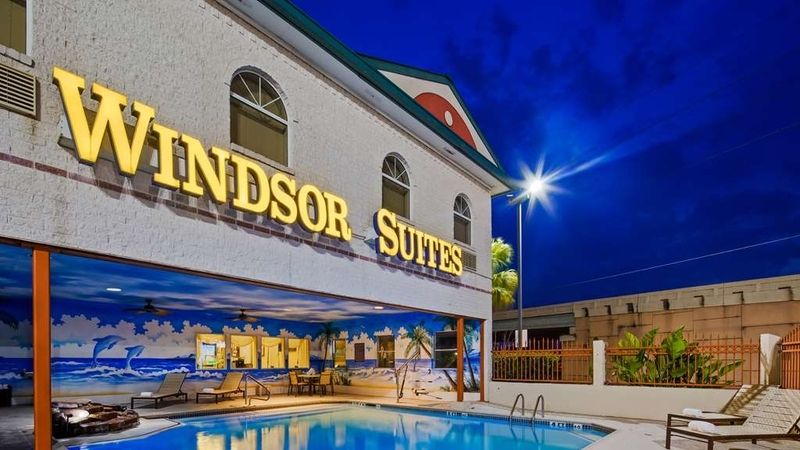 Le personnel amical et serviable du Best Western Windsor Suites veillera à ce que vous passiez un séjour inoubliable et amusant à Houston, Texas. Réservez votre chambre dès aujourd'hui et faites des économies ! Passez un excellent séjour ! Choose this hotel as they had smoking rooms a central location for our visit to the area. The room was large, clean and comfortable. The front desk staff especially Helena was very friendly and helpful. There are a few restaurants nearby that you can easily walk to if you wish or you can drive out the back entrance to avoid the construction on the main road. As mentioned here already there are train tracks nearby but we only heard it when we were outside. Our room was on the east side and it did not bother us. For the price it was great. Would recommend. 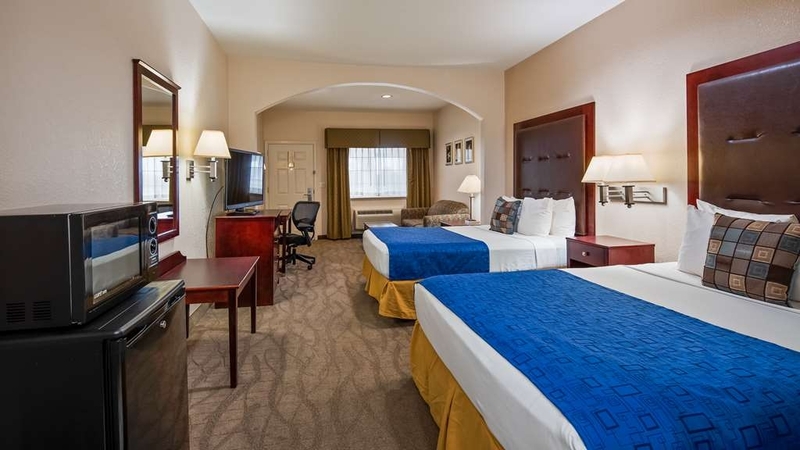 Hello Guest, Thanks for the stay at the Best Western Windsor Suites and the feedback. We shall definitely work on your observations. You can expect a further improved stay next time. Visit us again soon. Sincerely, Hotel Manager. Our stop was very comfortable it was nice to get away from the truck for an evening. Being able to go for a swim after unloading our truck is something I look forward to. The staff are very accommodating. The Hotel was nice. The only issue is they are redoing the Roads around this Hotel for a couple of more years so getting to it can be tricky if you are not from around that area. you can only go out on a one way street. "BEWARE!! DO NOT STAY HERE!" We were EXTREMELY DISAPPOINTED that this hotel was right next to a train track and there is NO mention of this on the website. Three trains came through between 2:30am-6:30am blowing their horns each time. No one should EVER have to wake from a dead sleep to this unless they chose to. We unfortunately were not given that choice, because we were not aware of the active train track prior to booking. Had we known, we would have never booked a room at this hotel! Also, this hotel is right next to the highway, as mentioned by another traveler. Older building with updated clean rooms. 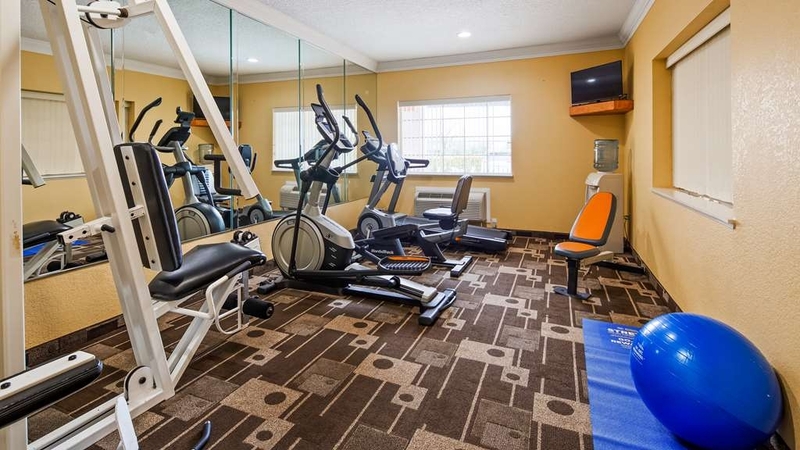 Convenient to highways and walking distance to restaurants. Good value but skip the breakfast at the hotel and eat at the IHOP nearby. Eggs were hard, bread not available. 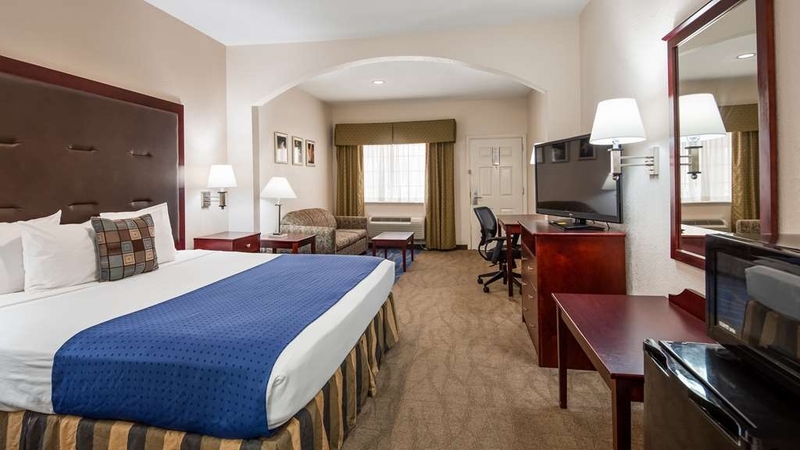 I usually always stay at Bestwestern when I travel and as usual I am always comfortable. This hotel was no different. Quite and cozy, great staff! They had a good breakfast and everything was clean. Little hard to see driving up because it's behind the Comfort suites. Nicely remodeled older motel (outside entrance). Ours was a large and comfortable room (2 queen beds AND a sofa). Coffee in room. Easy walk to nearby I-HOP (which was also good). My sister and I chose this location because of price and ease of traffic to visit family (LOTS of construction in area at present.) We would stay here again if in area. I was a little concerned since it isn't a 5 star, like I normally stay at, but I was very satisfied with the room and everything. It was very clean, even the carpet. I didn't have to worry about walking around with shoes or socks on. Will stay there again when I'm back in town. 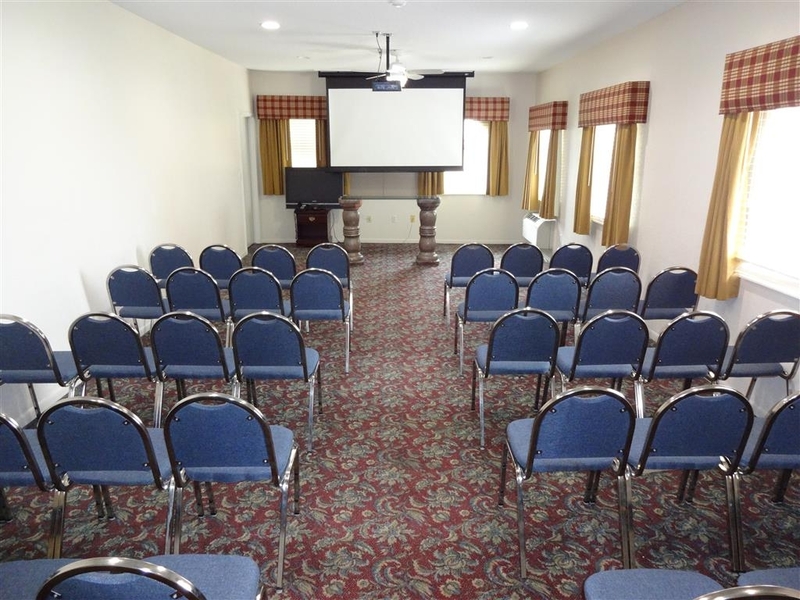 The room was priced well, the location was hard to get to, service was very good but room had been cleaned and left with wet carpet and closed up which left a smell. I would stay again for business in the area but not for a family vacation. This Motel is pleasant. Does need updating. I would rate this as a 1.5 star rating. The staff is nice and friendly. The fan in the bathroom stays on when light is on and is annoying. No real problems... just thought it was a nicer Hotel with Suites. This is a motel. This is well priced hotel compared to others in walking distance. Polite staff, comfortable clean room. Easy access to internet. 3-4 restaurant options in walking distance (Even for Americans). Breakfast was basic with option of eggs, bacon, toast, waffle maker etc. They have a fitness room and small outdoor pool. Check-in was easy and as I had pre-paid check out was just handing card keys back. I was hesitant at first while I was reading some previous bad reviews for this hotel. However, the staff was more than welcoming when I was checking in and when I walked into my room I was blown away from how clean and neat it was. 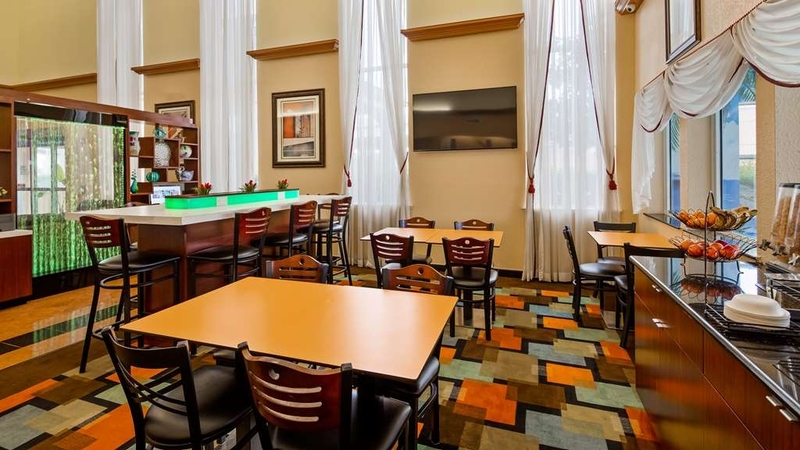 The hotel also has free continental breakfast which is really warm and taste very good. Will definitely stay here next time. Train came right by our room and blew its whistle twice during the middle of the night of our stay. Service was not excellent but room was fairly cheap so I was not shocked about this. Example- when I tried to check in, there were clearly lots of rooms available but they said I would have to pay an early check in fee because it was before 3. Also we asked for a crib when we made the reservation and when we checked in and they still had not delivered by 9pm. When we called then, they said they would call us back. Finally had to call again and they brought it. "Very nice place to relax"
I run hot shot loads for my work, I am always looking for a good clean place to stay when I am away from home. 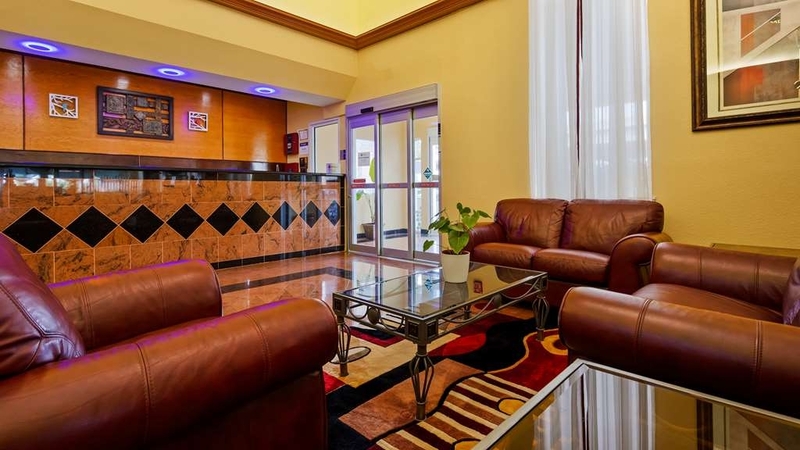 Best Western is the best I have stayed in for the price and comfort. Keep up the good work. So I was double charged and when I spoke to the staff about it she proceeded to explain to me what "pending" meant as if I was a small child and told me they weren't going to double charge me. The room was great i just wanted to pay for it once. "Clean friendly and good balue"
Arrived early, receptionist was Super friendly and helpful and we were was able to check in without any issues. Room was large, beds were comfy. 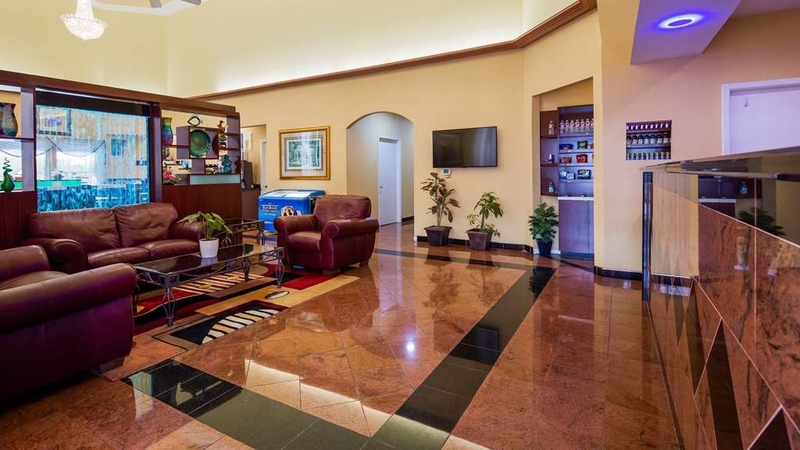 Located centrally from airport to Houston easy access to roadways. Lots of restaurants close by. "Best, BW we have stayed at to day"
Excellent staff. Room very clean. Breakfast good. Internet available with easy access. On arrival, Amanda greeted us and signed us in. Amanda was professional, informative, and customer friendly. Nice greeting after a long day of driving. Great experience. "Good Rooms - Great Staff"
This hotel is a good value for the price. The room we were in (109) was very clean with an excellent mattress. 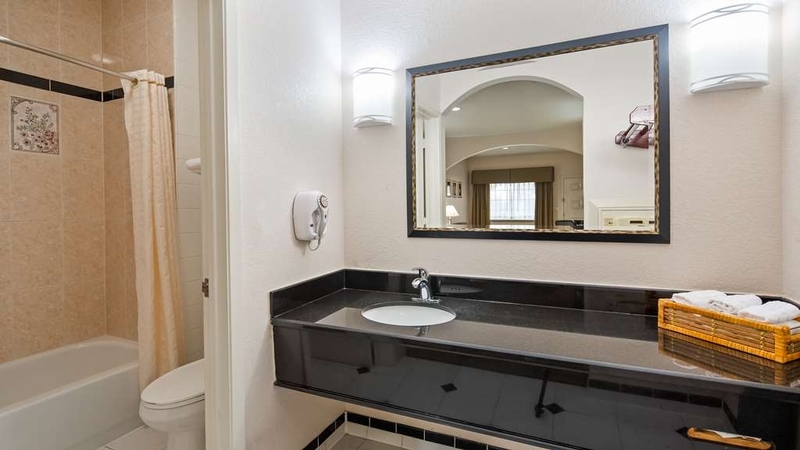 It was clean with nice amenities. Wifi was stronger than most and not an issue. It is next to a train track and once or twice a night the train and horn was quite loud. Our room opened to the outside, if this is a concern please be aware. Not sure if they have rooms with internal doors. There are many nice dining choices within walking distance. Good value for a nights rest, easy in and out with the front door right on the parking lot, a bit old school but it makes it easy to load / unload. 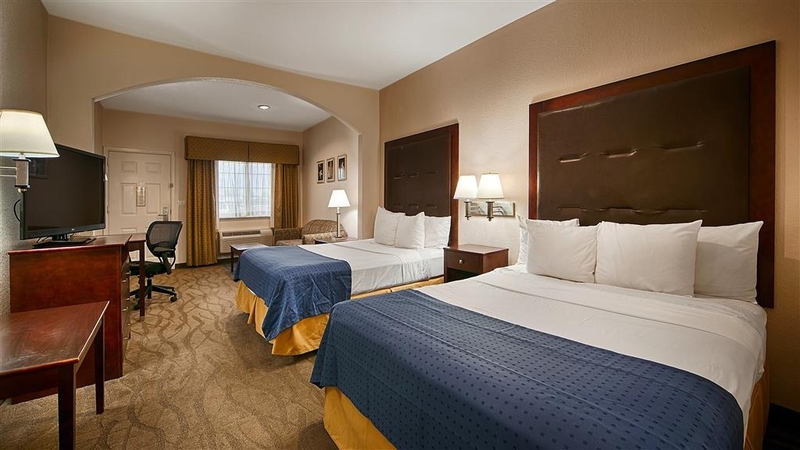 Clean and beds are comfortable and check-in desk was very friendly and helpful. My family and I stayed the night here after a large-spread power outage in our area. We weren't looking for anything fancy, just a cold room and a comfortable bed for the night. The front-desk staff was very friendly to my husband, but that's about all I can say nice about it. The room smelled like stale smoke. The carpet was sticky...I don't want to even know how that's possible. And the bed sheets were stained, dingy and full of small black hairs. Luckily we were all tired enough to just fall asleep despite the dirty conditions. Thank you for sharing feedback about your recent stay. Please accept my apologies for failing to provide you with a spotless room upon arrival. We know that a freshly cleaned room sets the tone for a wonderful stay, and I regret this was not your experience. I will certainly discuss this with my Housekeeping Manager to make sure we are following all policies, procedures and checklists when preparing a room for an incoming guest. I hope you will consider returning to our hotel the next time you are in the area. Sincerely, Amanda - Front Desk Manager, [email protected]"
"it was very great hotel"
Nice, friendly staff. Great pool and a hot breakfast. Can't really ask for more. Although it does not have a secure lobby with no outside access, it felt very safe. I traveled with my children and my sister and we never felt like we were in any danger. Even in the big city. "Clean and well priced rooms"
The rooms were clean and the staff let me check-in and check-out late during both my stays. The staff I dealt with were all nice and pleasant to deal with. I didn't take any pictures of the front of the hotel but it has changed from the displayed photo and had a makeover. I recommend this hotel for business travel. "They know me by name??" My stay here is always relaxing and I am greeted nicely by the staff. The breakfast is awesome and the check in clerk Rajul is always friendly I would give her a perfect 10 on friendliness. The house keeping staff is excellent to and what ever I need wether it be towels or blankets they are prompt at meeting my request. "Great place to stay 30 minutes from airport." Good hotel for family. Stayed here before flying out of George Bush airport (30 minutes away). Safe area close to restaurants and shopping. Good breakfast. Very large, clean, comfortable room. 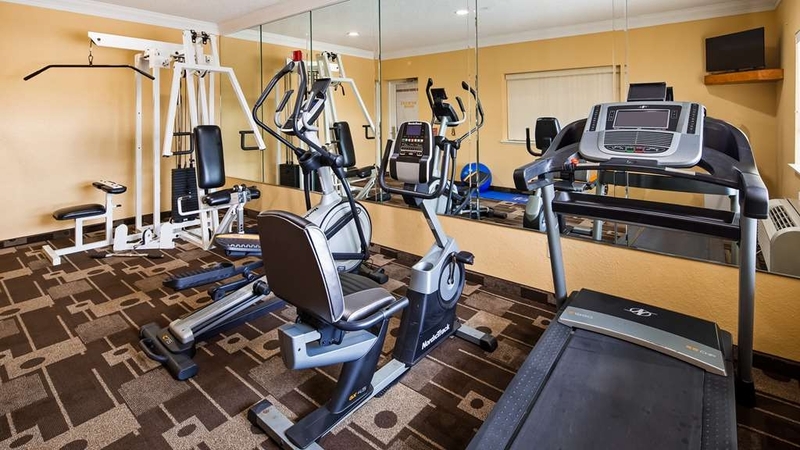 Workout facilities. 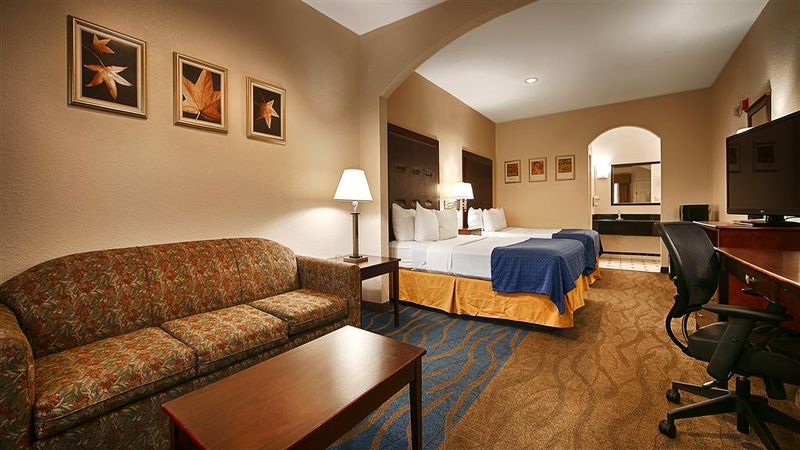 "Great Location, Great Service, Great Price"
It is my favorite hotel when I come to Cypress, Texas. Very well located, with easy access to two freeways and shopping centers, and the price is always right! The staff is super nice and helpful. It is a pleasure to stay here. You actually feel like you are home away from home. "Average place - excellent hosts!" This is the second time we've stayed here in two years. Here are the pros and cons: What we liked --- 1. The staff was very friendly, courteous and helpful! Very nice people. 2. Location close to highways. 3. Plenty of great restaurants within an easy walk. 4. Reasonable rooms, amenities, and price. What we don't like --- 1. Breakfast is very so-so. 2. We really don't like a room that opens to the outside. All-in-all, not a bad place. I feel relaxed and at peace at Best Western Windsor Suites. I have been coming to the same hotel since 2013 and I feel satisfied with the services, location and the security aspect of the area. to crown it all it is a quite area with the exception when a train passes. Thank you so much for making the Best Western Windsor Suites your home away from home. I am delighted you had an excellent stay once more and enjoyed all aspects of our hotel. 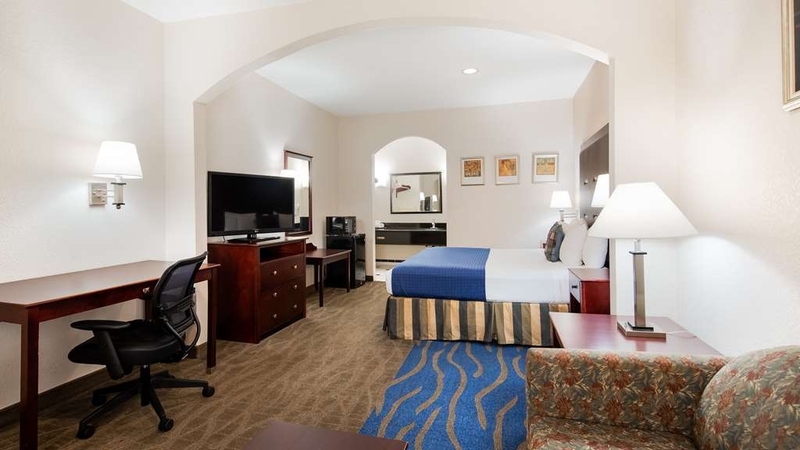 We work hard to deliver excellent customer service along with clean, comfortable accommodations, and comments such as yours let us know we are on the right track. It is always a pleasure to have you as our guest, and we hope to welcome you back soon! Sincerely, Amanda Front Desk Manager [email protected]? There were many problems with the hotel. Upon arrival there was so much construction that I could barely get into the parking area and couldn't pull my U-Haul trailer into it. I had to run over the curb to get out without hitting another car. I was put into a handicap room despite only being 35 and in good health. They didn't even ask or let me know it was handicap. I found out when entering the bathroom. The room was very hot upon arrival. How hard is it to turn on the ac when a reservation is called in? The room had an odd smell, almost like cigarette smoke even though it was a non smoking room. The hotel is next to the freeway so the noise was very loud all night particularly while trying to go to sleep. The sink was stopped up and dirty. Their was a hair on the wall in the bathroom. The tub faucet was broken/not securely attached to the wall. The shower switch was broken and stuck between shower and bath so water pressure was lost for taking a shower. I will never return to this hotel and would recommend Best Western to renovate the property and take a good look at the employees. The breakfast was great and the staff are very kind! I would definitely come back. The rooms were very clean, it's a great location. My stay there was definitely the best. I had no issues whatsoever and I highly recommend this hotel, not doubt about it. "Beds too stiff - otherwise decent"
We stay at many best western properties. This one is decent with the amenities you want - fridge, micro, good internet, decent breakfast, etc. Only real complaint -- and it's a biggy -- is the beds are way too stiff. Can't get a good night sleep... too bad. Should consider adding memory foam matress pads and all would be well. All services are extremely good. staff are looking professional, high internet speed, satisfied with break fast. maintains cleanliness. good looking fitness center and swimming pool. well furnished rooms. Very pleasant interior and exterior. Great location - lots of restaurants within walking distance. Staff was friendly and courteous. Reported problem with room and it was taken care of in a timely manner. Very pleasant interior and exterior. Great location - lots of restaurants within walking distance. Staff was friendly and courteous. Reported problem with room and it was taken care of in a timely manner. Excellent customer service. Keep up the good work. Best by far for a first time stay at a hotel that I have never thought of staying at. Value for room and the location is a plus. Thank you again for a wonderful experience and look forward to having another in the near future. 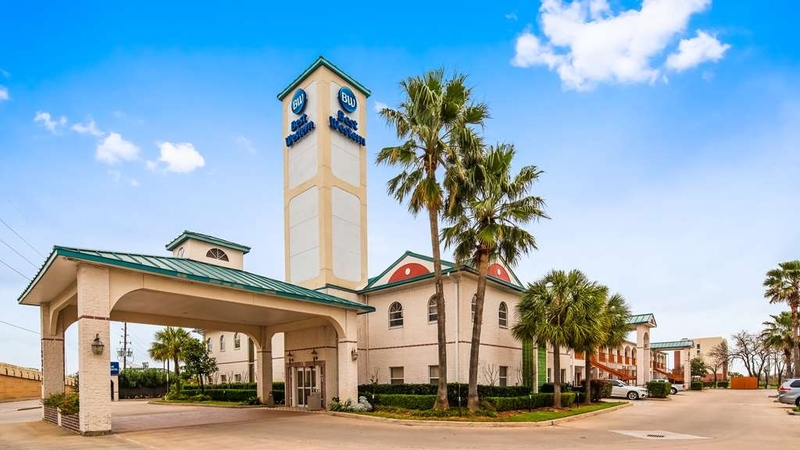 "Always better with each experience"
The 'Best Western' brand is my first hotel choice in the US for her comfy rooms, excellent services, & personal touch - amiable staff. 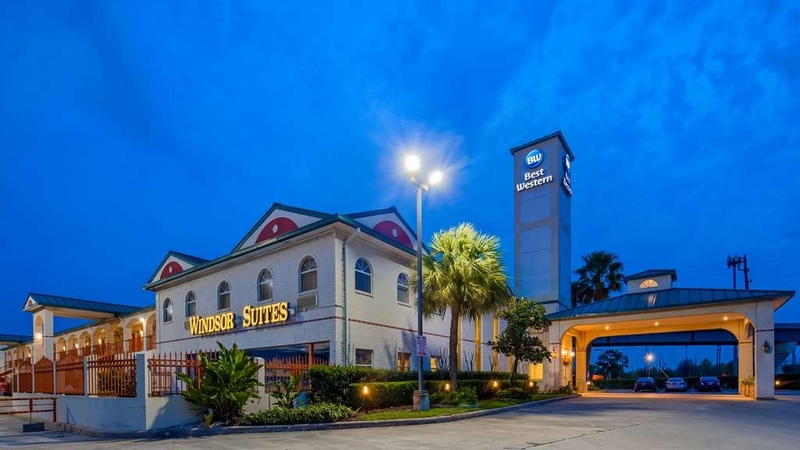 And in Houston, TX; the Windsor suites on FM 1960 is my preferred hotel because of proximity to where I do business. It's so interesting and gladdening that it's always been a much better experience than the last time whenever I return to the hotel....and this has been so for the past 3 years! I think the hotel epitomizes 'CONTINUOUS IMPROVEMENT'....from carpets and furniture change-out to Fitness Centre re-work to Breakfast improvement to Hi-Speed Wifi increased performance. I guess I'm hooked. It doesn't get better than this...always looking forward to new improvement. You want to do 'Best Western'? Don't think twice - JUST DO IT! we had an enjojable stay at b/w winsor in Houston. at both ckeck-in and check out the staff was very pleasant and happy.the breakfast was fairly good as usual. the breakfast worker was very pleasant and caring. the hotel was clean both inside and out. 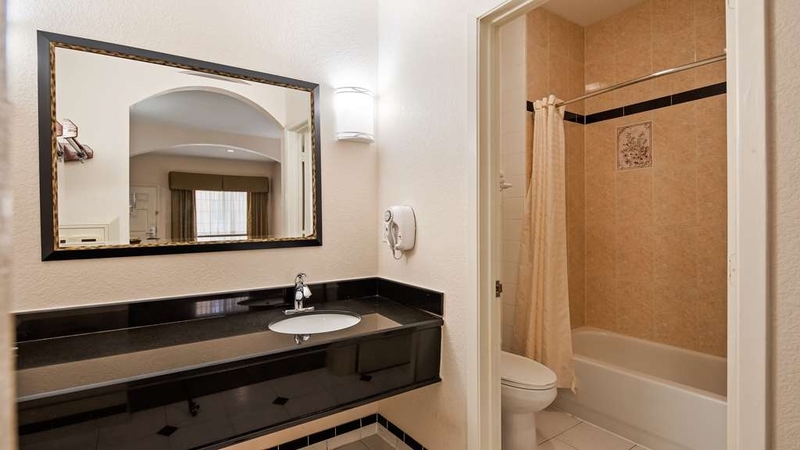 "Worst Bestwestern I`ve stayed in"
Very bad experience. 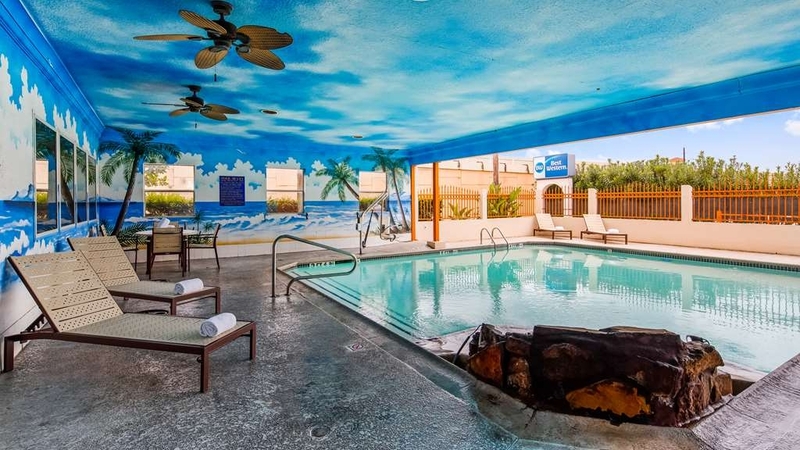 The website showed the motel had a hot tub, they did not. When asked for a remedy, staff was not helpful. There was a train that went right by the motel at least 3 times a night. Motel is at an intersection. therefore, train had to blow horn. 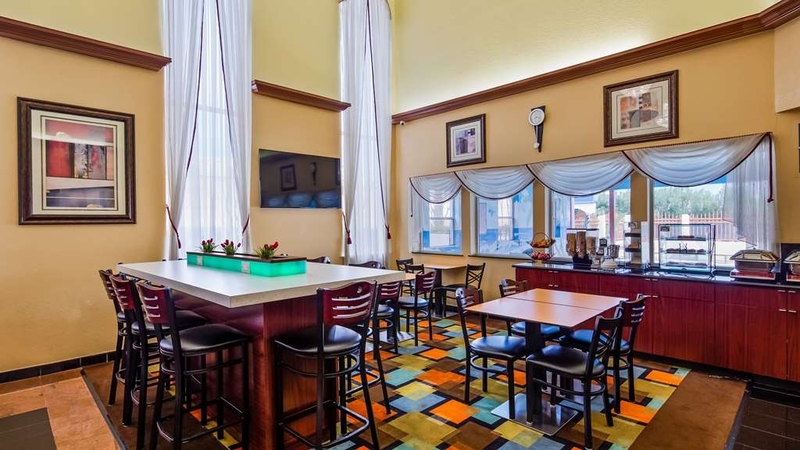 This hotel is reasonable value for the area as Houston seems to be expensive. The rooms are large and have fridge, microwave, internet etc. There is a steak house and other restaurants within walking distance. This Hotel was Great!!! 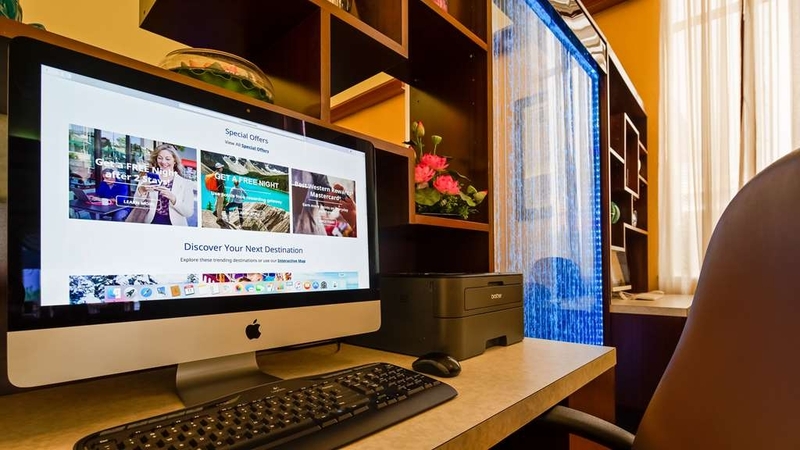 clean and nice atmosphere (traffic sound was not a issue even though it was off a major freeway) , Room was very relaxing, Front Desk was helpful with "everything". I plan on staying at "other" locations within this establishment - I was a very SATISFIED CUSTOMER!!! "NOT a perfect location in Houston"
This is in a good locations for restaurants but hard to get to with road construction. Pool was not accessible as locked all the time. Had to request it to be unlocked!!!!! Looks like been updated but still looks 'tired' from outside. Breakfast just average. "umm... it was a very interesting stay here." The hotel room smelt like mold... the room and hallways were dirty.. If you don't get down there for the free breakfast when it opens, all the food will be gone.. The entire property needs to be remodeled... I would not recommend this hotel to anyone. needed to stay at a location with wifi access...theirs was strong enough to show up but not enough to connect. hotel next door had stronger signal than the one i was paying for...unacceptable in this day and age. i was truly shocked that i had needed such a simple service which was offered but not non existent. If you had to have a place to lay your head, this is it. Do not count on getting a good breakfast though. Hopefully they get my comment from my stay and make improvements to the matrasses in the rooms. "Difficult start after a long flight it took us three hours to find the hotel"
Arrived very late at night, very tired and lost. For some reason we were given a smokers room with no explanation. No mention that we could have a complementary breakfast up to 9am, too tired to complain that night, we were however able to move rooms the next day. Discovered that the freight trains pass by the hotel in the night and blow their horns as they go by wakening us every night barring Sunday. The view is of the freeway, and each day we got a little lost going back to the hotel. "HIRED EMPLOYEES STEALING FROM GUESTS - MANAGEMENT LACK OF CONCERN!" 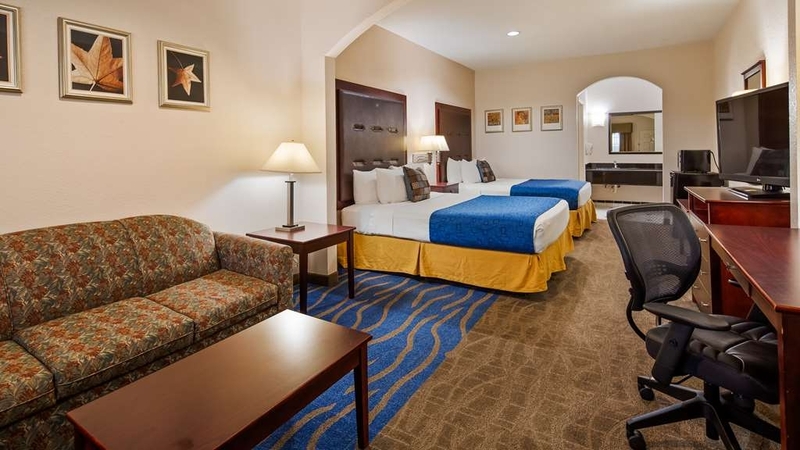 We are longstanding Rewards members with Best Western Hotel. And have stayed at this hotel so many times that they have our info in the system. The hotel had workers there painting the room doors. After we checked into our room one of the workers had an access car and came into our room 3 times as we were laying down resting. I had clled the front office to tell them to please make them stop!! And that we were going to be leaving later and Did Not Want Them In Our Room Painting!! The front desk clerk assurred us that it would not happen. When we got back later in the evening they had been in our room and my jewelry had been gone thru and some of it stolen. We immediately went up to the front desk and told them and she said because of the late hour she would leave a note for management in the morning. We got up early and reqyested to speak to the manager. He would not speak to us on the phone or come to the hotel. So we called the police and made a report. This is the worst hotel we most worst customer service we have ever dealt with! and we travel most every weekend and Stay in a multitude of hotel all across Texas! But this one is defintely the absolutely the worst!!! No concern for my stolen jewlry at all!!! Whenever we come to Houston TX to visit our daughter and her family we stay at this hotel. This is the 6th or 7th time. Each time it has been very clean, comfortable and the staff are very pleasant. It cost right around 100.00 a night but it is well worth it. We highly recommended this hotel.